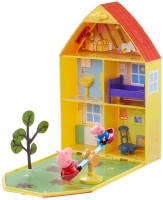 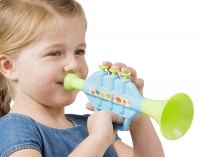 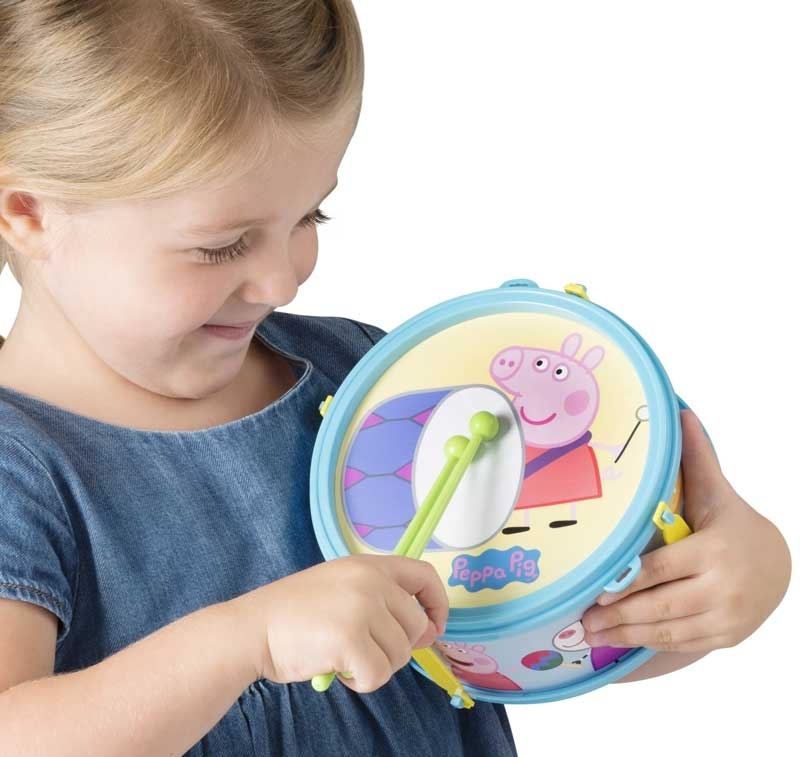 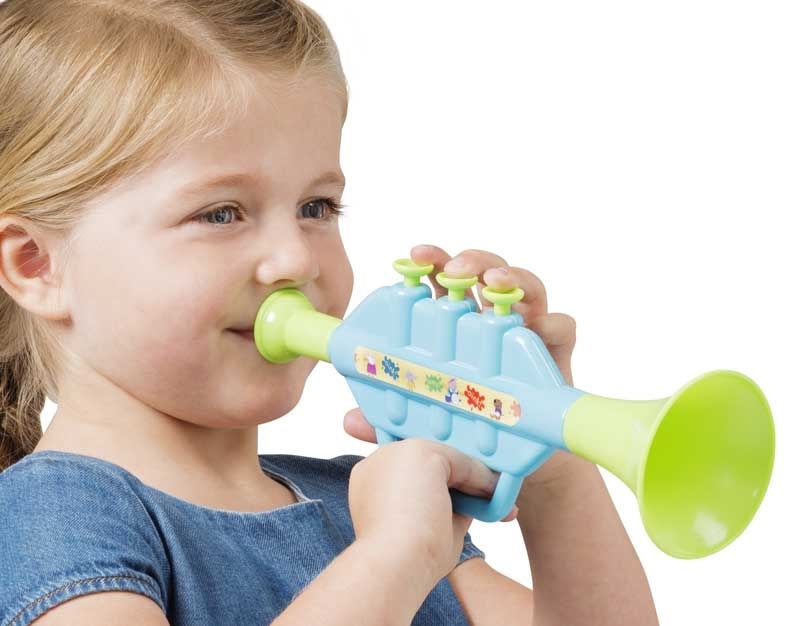 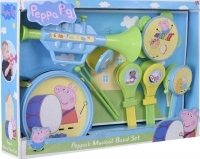 Make musical sounds and tunes with the Peppa pig musical band set. 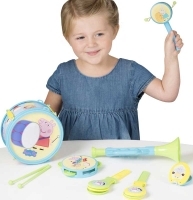 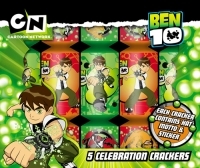 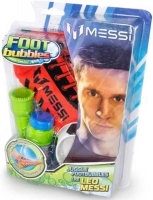 Set includes Trumpet, Tambourine, Hand Castanet, Paddle Drum and Castanets. 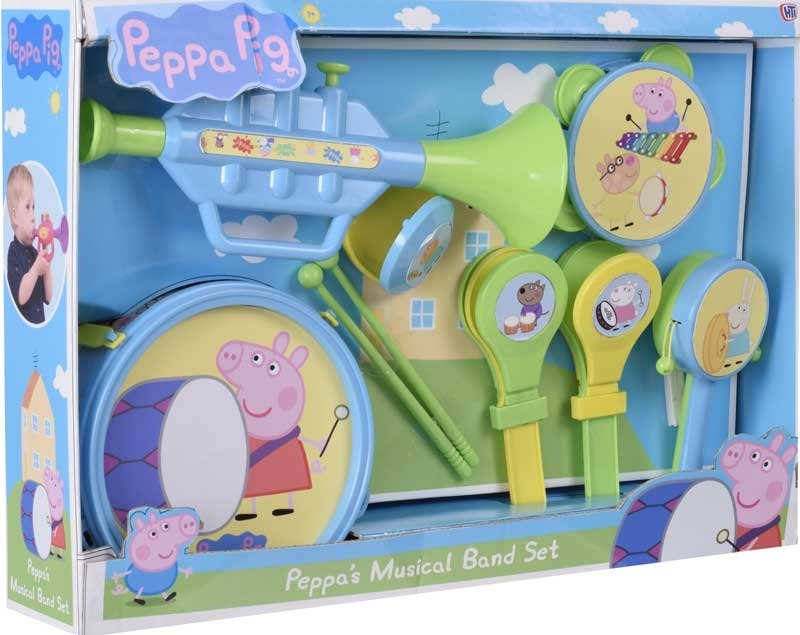 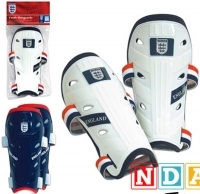 Supplied in fun Peppa Pig design..